Navigating the fair can be tough. All of the gimmick beers are cool, but if they’re really all that delicious, you should be able to drink them for the rest of the year, or at least from the comfort of your home at least once. After you’ve gotten your gimmick kick, seek out some good stand-alone beers that don’t need a big event to be enjoyed. The beers I’ve got below can be found both at the fair and in the store. Maybe not year-round, but for a little bit at the least. 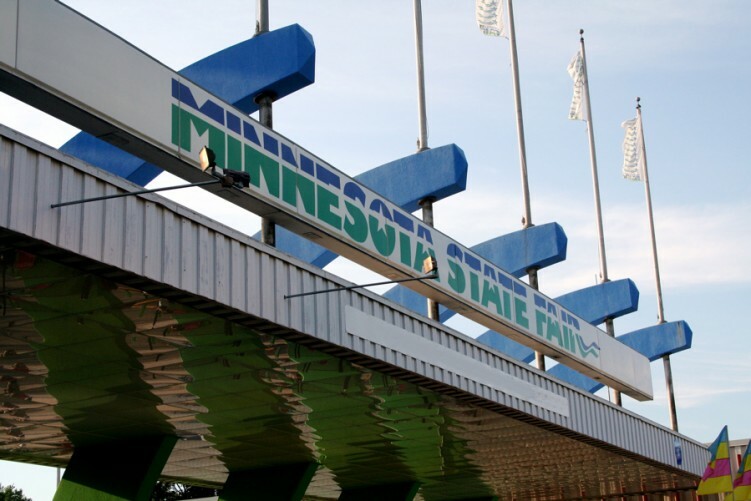 Fair State, Minnesota’s first Co-op Brewery, has been making some world-class beers since they opened their doors. With styles ranging from Keller Pils to mixed fermentation and everything in between, their pedigree is astounding. The year-round Pils is awesome, crisp, and completely crushable. Brewed with Hallertau Mittelfrüh hops, one malt, and lager yeast, this beer hides behind nothing. Any flaws that may be present are front and center, which is one reason you don’t see pilsners on many beer lineups. Aromas of cracker malts, grassy floral hops, and a rush of lemon flood the senses. Those aromas follow into the taste with some additional spice, a bit more malt, and mild bitterness. With a crisp clean finish, Pils is perfect for hot days crowded with thousands of people you don’t know! 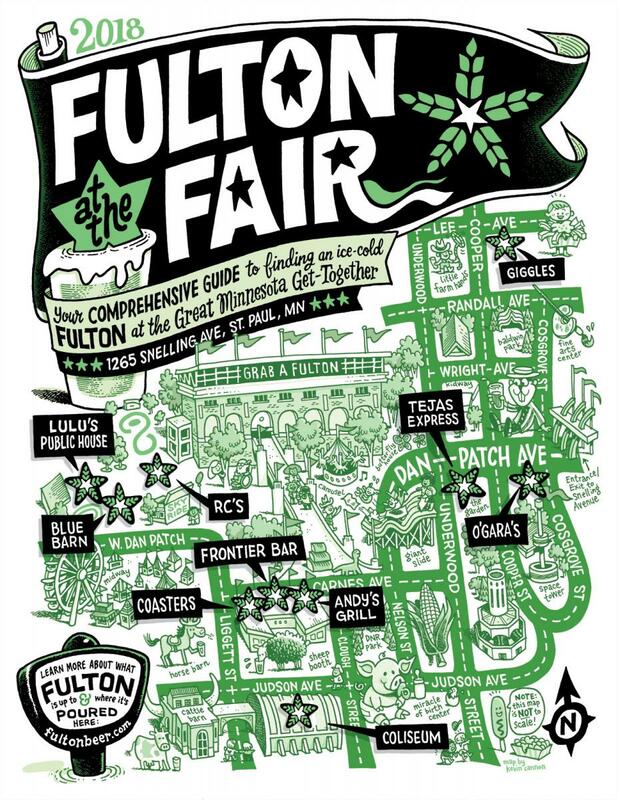 Fulton can be found all over the fair. So many places, that they felt the need to create a handy map in order to help you navigate the grounds of the fair leading to delicious adult candy! Originally brewed as their 300th batch at their Downtown Minneapolis brewery, 300 was an instant classic and quickly made its way into their year-round rotation. Heavily hopped with Mosaic, which shows on the nose with tangerine, mango, papaya, orange zest, and grass which is accompanied with a touch of malts. The flavors follow closely with the Mosaic leads the way with tangerine, nectarine, mango, papaya, and grapefruit and a fair amount of malts to help balance the heavy-handed tropical fruits. With 7% ABV, you’ll be able to handle to overcrowded streets of the fair and possibly navigate with a little stumbling finesse. Back by popular demand and debuted at the Ball Park Cafe at the fair, Modist‘s Shook Pineapple is going to be your best friend this year at the fair. It hit stores this week, and if you can find any still around, jump at it and grab what you can before it’s all gone. It won’t last long. The Milkshake IPA is made with real pineapple, which is prevalent from the smell radiating from the glass. The combination of pineapple, vanilla, milk sugars, and Denali Hops create a refreshing beer. Smells of fresh pineapple and vanilla dominate. The flavors are exactly the same with a nice thick mouthfeel. No hint of booze and at 7.3% it’s dangerously good!